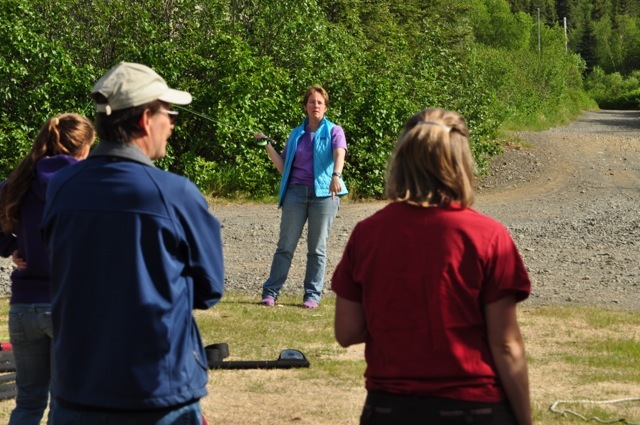 Bristol Bay River Academy Kicks Off! The chef calls that breakfast is ready and the students aren’t clamoring for food as they were the first day. Where are they? A quick inventory and they are huddled around the fly tying table amongst a gaggle of feathers, chenille and their newly acquired vices. There’s some serious discussion happening on which fly they are working on is most smolt like and whether its going to appeal to a king or a chum. The 13 students, from communities all over the bristol Bay region, have gathered for a week of on-water fun at Bristol Bay’s Mission Lodge. While here they learn from local experts how to fly fish, what its like to be a guide, river conservation principles and how they can be amassadors for their region. Ideally a couple of the students, like year’s past, take their new skills and pursue jobs in Bristol Bay’s world class sport fishing economy. This week they’ve already mastered the basic skills of fly fishing, talked with community elders about local stories and place names, discussed and put to practice essential customer service skills, and discussed how to safely guide people in the field. Now its time to find some fish. We are gearing up and heading out this afternoon to see if we can find a few willing fish that are interested in the smorgasbord of flies created early this morning. ← Apply now for 2013!